This is a portable powerless HDMI to VGA active cable. Connecting directly from devices with HDMI output like New generation Notebook / CCTV DVR to a VGA Monitor or Projector with VGA input only. Very practical and portable!!! 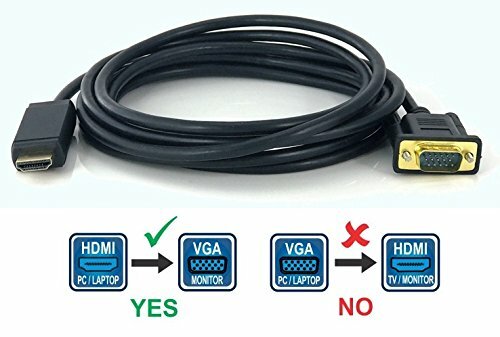 HDMI to VGA one direction ONLY , "NOT VGA TO HDMI"
If you have any questions about this product by Bestron, contact us by completing and submitting the form below. If you are looking for a specif part number, please include it with your message.